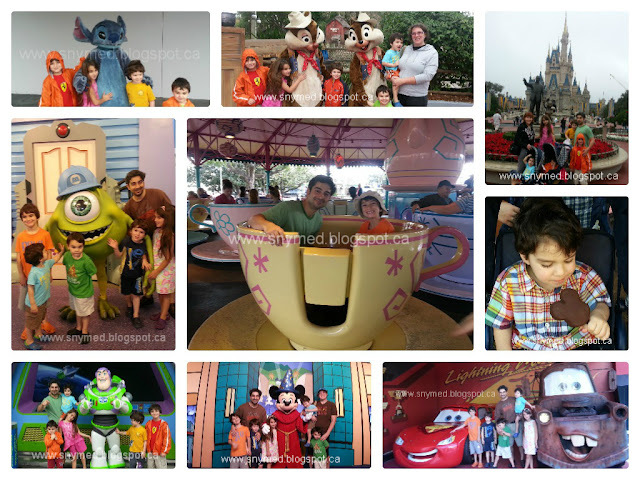 Our Family Trip to Disney 2012! I have fond memories of going to Walt Disney World in Orlando, Florida when I was a child. Every year from the ages of 6- to 9-years old, my parents would take my older brother and I to Disney. And what a trip we had, all four of us--my parents included! We really created memories that have carried throughout our lifetime: memories of togetherness, memories of fun, and memories of Magic. Over 30 years later, and we still talk about the great times we had at Disney in the 1980s! Previously I wrote about planning a Disney vacation on this blog, and about how my husband and I really wanted to take our own 5 young kids to Walt Disney World. Although we had wanted to wait until our youngest was about 3-years old for the trip, we decided to go early when our youngest was 2.5-years old. My husband really got the itch to go, and who was I to say no? It turned out that all 5 of our kids were a great age to visit Disney: from ages 2.5- to 7-years old! We planned our trip for early December 2012, right before the rush of Christmas break. This turned out to be a good strategy, as the Disney parks were lively, but lineups for rides were reasonable! As we were travelling as a large group of 8 family members (including my mom), we opted to rent a house about 10 minutes away from Disney. Of course, with lodging outside of Disney, we had to rent a van, which was an additional expense. But we did like the freedom that our vehicle afforded on non-Disney days. Once we were at Disney, we decided that we would do Disney in this order: Day 1 - Magic Kingdom, Day 2 - Animal Kingdom, Day 3 - Hollywood Studios, and Day 4 - Magic Kingdom again. Looking back, I was pleased how this schedule worked out. The Magic Kingdom was completely targeted toward my kids' age group, and there was enough to see on 2 separate days. In fact, I think there was only one ride that we ended up repeating, due to personal fondness (the Dumbo the Flying Elephant ride)! My family had such a great time at Disney, that my kids are still talking about it almost 2 months later! I was surprised by how many "adult" rides the kids could go on. In the Magic Kingdom, my 2.5-year old was permitted on the Barnstormer roller coaster, and my 4-year old went on the Space Mountain roller coaster. In Hollywood Studios, my 4-year old went on the Twilight Zone Tower of Terror drop elevator ride & the Dinosaur wild time rover ride! My 7-year old went on his first roller coaster ever: the Aerosmith rock band upside down roller coaster that reaches 4.5g (44/m/s²)! Disney does big fun. There is so much to say about Disney, including the awesome rides, the exciting shows, the thrill of the parks, the parades, the fireworks, how clean the park is, and how customer service is a priority of each and every staff member at Disney. I could say this all, but I will sum it up at this: we had originally planned to go back to Disney in 2014, but our family had such a great time, that we will likely be coming back to Disney this year in 2013! It's that good! 10 Tips for Doing Disney! Here are some tips I will pass on to you, if you are planning a Disney vacation! 1.STROLLER - Bring a single stroller (or double stroller), even if your kids are too old for it. Your kids will get hot and tired and need to rest. The stroller also doubles as a great place to hold your water, extra clothing and souvenirs. 2.EARLY - Get to Disney early, and plan to have parked BEFORE the gates open. The parking lots fill up quickly, and this will guarantee you a good parking spot. If you are taking the Monorails, still arrive early, and you will have your choice of rides with NO line-ups! 3.MAP - Study the Disney map BEFORE you go to Disney, and decide which rides and shows your family cannot bear to miss. When you are at the gate, get a paper map of Disney and bring it with you throughout your visit. 4.PLAN - Some shows and events are offered at only certain times and only on certain days, so plan your trip strategically and you can see everything. For example, the Star Wars live show in Hollywood Studios requires that you line up at ABC Studios to secure your child a position in the show. By 9:00am when my family went, all the spots were filled up until the 3:00pm show. Get there early to avoid disappointment. 5.PHOTOPASS - Get the Disney PhotoPass. It's free and will collect all the photos together that were taken of your family at the parks in Disney. Even if you don't end up buying any of the photos, you can create greeting cards and send them with your Disney photos. 6.CAMERA - If you opt against the Disney PhotoPass, your family can still have photos taken with the Disney characters using your own camera. It's a great way to get a photo of the entire group, so don't forget your camera! 7.CHARACTERS - Get your photos taken with the Disney characters, easily found on the Disney map that you can find at the front gates. Yes, there are often line ups, but your kids will be thrilled by meeting their favourite characters, and the photos make an incredible souvenir. My husband wanted to skip the characters throughout the parks, due to the wait time, but now he is so enjoying looking back at the photos that we collected. Such great memories! 8.BRING - Bring lots of water as you'll get thirsty, bring lightweight raincoats just in case it rains ($1-$2 at the Dollar Store), and don't forget to bring a few sun-protective hats and sunscreen for the whole family (it can get hot at Disney)! As stated above, bring a camera of cellphone with good camera. And of importance, bring cell phones along for your group, in case you need to communicate. Arrange a good roaming plan with your cell phone provider before your trip to Disney. 9.STICK TOGETHER - Watch your child at Disney, as the parks get busy and a child could wander off and become lost. If you have a toddler, keep your child buckled into a stroller between rides or shows. Dress your child in brightly coloured clothing so they will be easy to spot in a crowd (ie: florescent yellow, green, etc). You can dress your entire group in the same colour, so you're all easy to spot in a crowd! Have a meet up plan in case members of your party get separated, and ensure your whole group knows the plan. 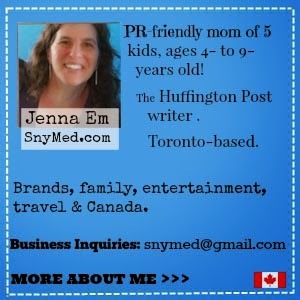 Tell younger children if they go missing to find a staff member at a ride, restaurant, boutique, etc. Keep a paper photograph of your child in your wallet, in case they get lost. 10.MY BEST TIP - FAST PASS! You can skip the line ups without paying for it! Simply insert your Disney pass into the Fast Pass kiosk, and it will spit out a ticket telling you to return at a later time. During this time, you can eat lunch, see another show, or even go on a completely different ride! This is a little known fact, but when you return at the designated Fast Pass time, you completely skip the line and go straight on the ride. BONUS - Sometimes when you go to the Fast Pass kiosk, it will spit out a second Fast Pass ticket as a bonus! So, when my family went to get a Fast Pass for The Many Adventures of Winnie-the-Pooh ride, we got a second Fast Pass for the Dumbo ride! There was next to NO waiting involved! I believe you can only request Fast Pass for one ride at a time. Once your Fast Pass expires, you can request a new Fast Pass again. Fastpass saved our sanity!!! My #1 tip (I wish I knew this last time we went) is to get the characters signatures on a frame (or a matte). Then the kiddos can display them with a family photo. I wish I could remember where I say this! Shannon, what a great tip! When I went to Disney many years ago with my hubby, before we had kids, Fast Pass really sped us along our way! Christine, your daughter is the perfect age to go! My 4-year old went on so many adult rides, even the "scary" ones! Thanks for the great tips! I hope we get to Disney soon! Wendy, Disney's fun for everyone! Jennifer, I think your family will enjoy it! We are planning on taking our family next year, when our little one will be 3.5 - a good age, I think, for kids to really enjoy the experience. Thanks for the fab tips! Fab Frugal Mama, my second youngest was about 3.5 when we went to Disney. He enjoyed it very much! thanks for linking up! These are great tips - we loved our photopass! the fast pass sounds awesome!! if we ever go ill be sure to keep that in mind!! Two areas I really want to check our are Belle's village and restaurant, and the ride-through attraction for The Little Mermaid! Oh, and the Muppets show! Thanks for the tips! Looks like lots of fun ! My niece is going to Walt Disney World and she said to thank you kindly for all the tips! Very nice, will be using this tip if I ever get a chance to go here. Will maximize the fun i'll have.